Japan has set Wednesday at 7:50 a.m. (11:50 a.m. UTC) as the launch time for its fifth “Kounotori” cargo mission to the International Space Station. 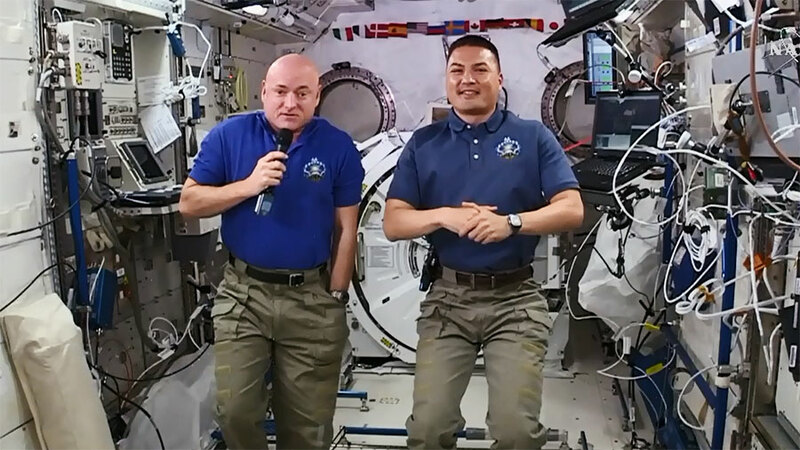 Meanwhile, the six orbiting crew members focused on advanced microgravity research today. Japan’s fifth H-II Transfer Vehicle (HTV-5) will take a five day trip to the station after its launch. It will arrive early Monday morning when it will be captured with the Canadarm2 and berthed to the Harmony module. The HTV-5 will deliver more than 4.5 tons of research and supplies, including water, spare parts and experiment hardware. Japanese astronaut Kimiya Yui continued robotics training for the HTV-5 arrival next week. The crew also participated in examinations for the ongoing Ocular Health study. Robonaut, the experimental humanoid robot, was powered up today so the crew could observe its mobility operations. Robonauts are so revolutional for our future life as well as space development. Robonauts are closely connecting to mankind, already today.